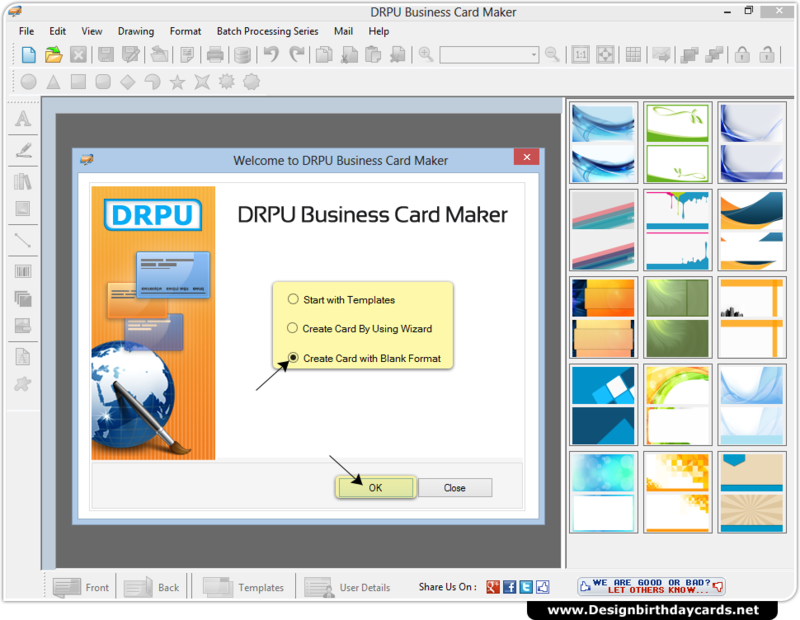 Select Mode of Designing to create Business card. 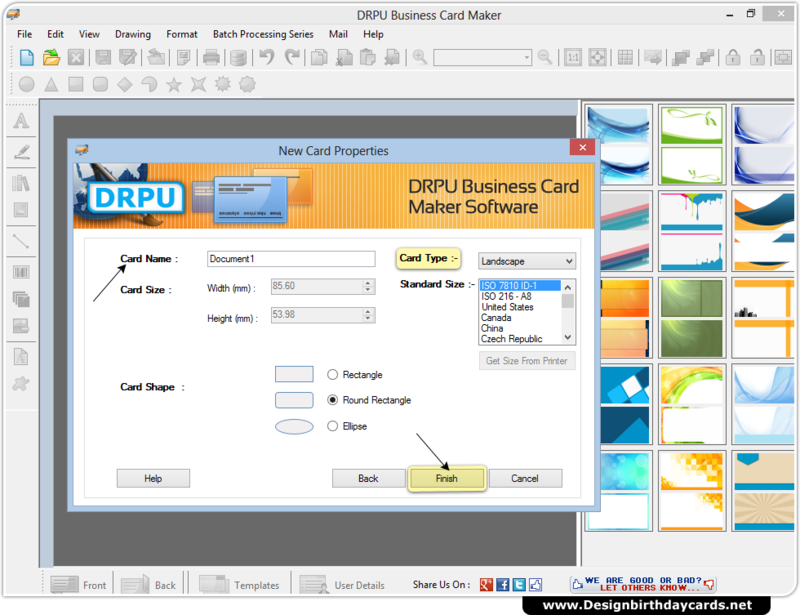 Specify Card name, size, shape and type then go to ‘Finish’ button. 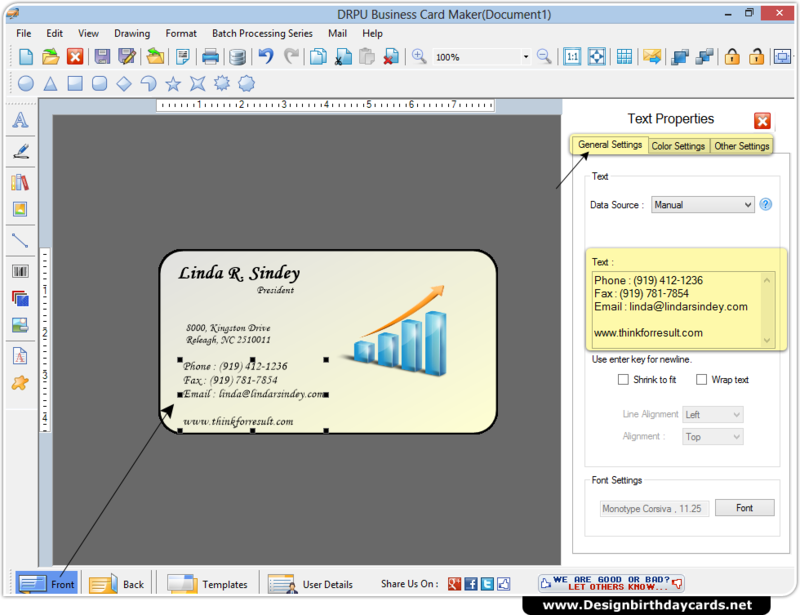 Design your business card as per convenience using various text properties and tools from toolbar. 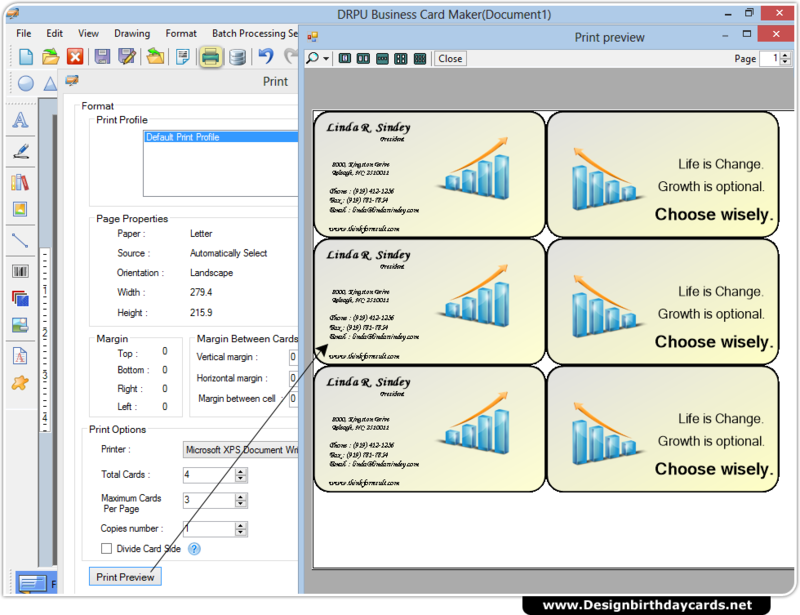 To print your designed business card go to print option from tool bar. You may also use print preview feature before actual printing of cards.